Today’s global society demands a multitude of skills: the ability to identify challenges and to think and act independently, as well as the logical thinking skills to successfully navigate issues arising among interested parties from diverse backgrounds. Perseverance is essential, even in challenging situations where results are hard to achieve. Through group-work, the SI Programs train students to maximize the knowledge and skills acquired through their regular university classes. 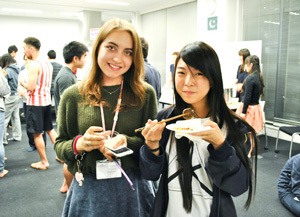 Take this invaluable opportunity, then, to join students from other countries, regions and family backgrounds at Waseda International Student House (WISH) and realize your true potential. Please be aware that participation to SI Programs is compulsory for WISH residents. 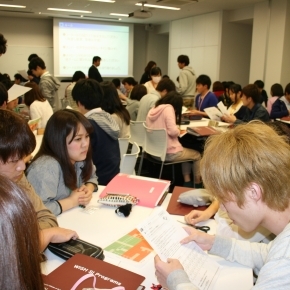 The programs are held at WISH from 7 p.m. to 8:30 p.m., Monday to Friday during term time. At the beginning of each semester, residents can select which day of the week they will attend based on their individual schedules. ※The contents of SI Programs for academic year 2016 is subject to change. Through the Self-Motivation Program, students cultivate the qualities essential to success in today’s global society: consensus building, communication, motivational abilities, and independence. 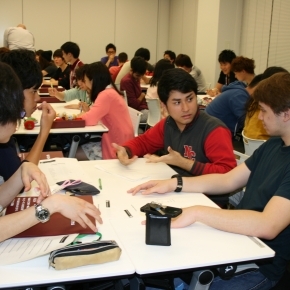 Working in groups and leading discussions with peers in an environment of diversity unique to WISH enables students to build their creative problem-solving skills. Creating a picture of your “ideal self” makes student life even more rewarding. Opportunities are provided to periodically set and review targets while repeating the two-year Plan-Do-Check-Act cycle brings students one step closer to becoming the person they want to be. Communication skills are essential for furthering debate with leaders and peers in both business and social settings. In fact, communication skills are more crucial to success than language ability. Communication skills are undoubtedly important for summarizing discussions and sharing issues for problem resolution. However, goals cannot be achieved without the trust that forms the basis for problem solving and debate. Trust follows from giving and receiving understanding. Thus, the real first step toward communication is to objectively know yourself. Managing motivation and communication put within reach the goal of becoming a person who “thinks for themself, acts from themself, and cooperates with others in order to achieve results”. The reward for effort is unlocked potential. Understanding your own behavior, attitudes, and value from others’ perspectives is extremely important for communication. One person’s common sense is not necessarily the same as another’s, particularly in a global environment. In the Global Communication program, concepts called “maps” provide frameworks to measure cultural differences. Using role-plays and case studies, these maps are applied to teach students how to achieve effective mutual understanding with people from diverse backgrounds, rather than simply providing knowledge of different cultures. “Socratic and Confucian Systems” The basic tenets of modern formal education originate from these two philosophers. You will learn the effects of education traditions on presentation and discussion styles. “Low / High Context Communication” The relationship between volume of transmitted information and volume of already shared information differs among different languages. You will learn that communication styles must be changed depending on the language. “Appearance of (In) Equality” The degree to which people are concerned about formality during communication differs among cultures. In some cultures it is customary to call bosses by their first name; in others, there is a “seat of honor” even for meetings. You will learn how to deal with each style. 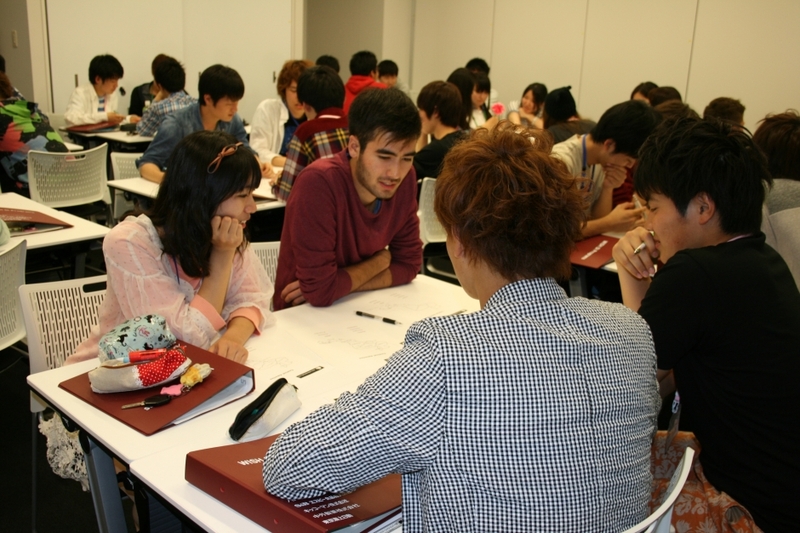 International students who have recently arrived in Japan will learn the fundamental points needed to quickly adapt to life using Japanese. 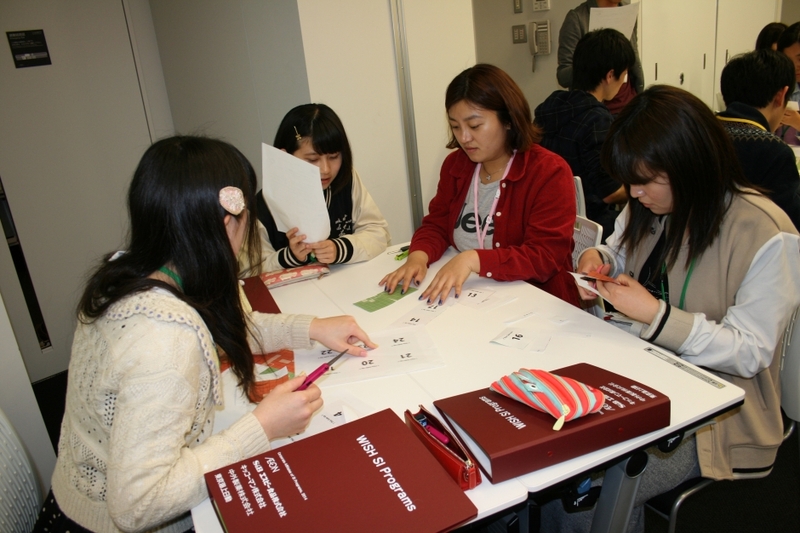 Classes are taught from the perspective of differences in language structure and cultural patterns and so provide a good opportunity for Japanese students to reflect on their own language usage. 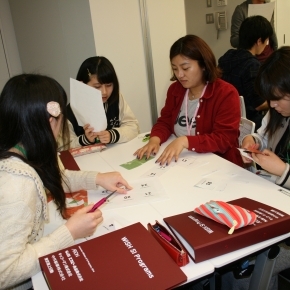 This program also introduces Japanese culture and basic philosophies that are relevant when learning about Japan. 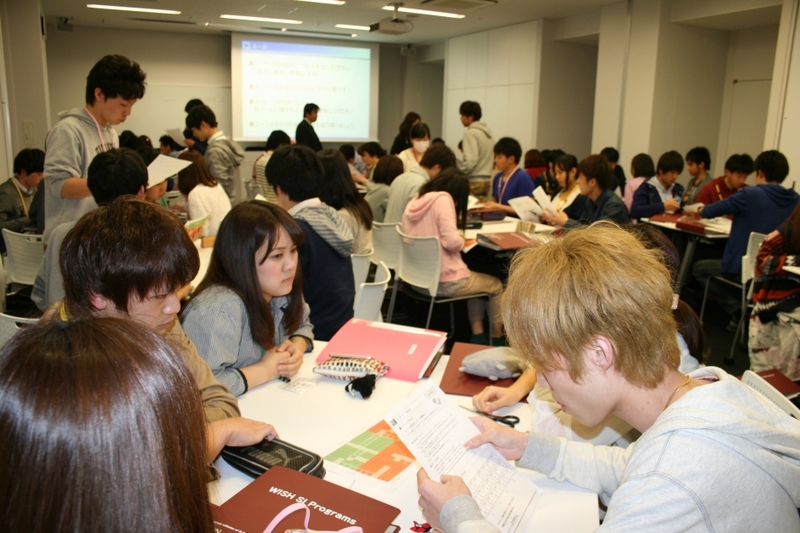 Waseda University’s 13 departments engage in a wide range of research and education activities, allowing students to develop a high level of expertise through their regular university classes. 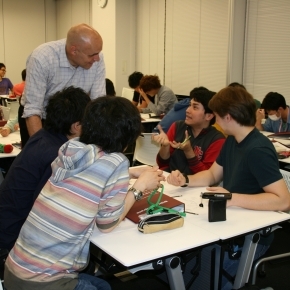 This informal knowledge exchange is enhanced by Faculty Visits during which Waseda University faculty members deliver informative and comprehensive presentations on their research fields. Finding interests in completely new fields will complement your regular studies. You are bound to have a stimulating conversation with friends studying different majors. Having a wide range of interdisciplinary knowledge will undoubtedly be of future advantage to you. As a student, it is not easy to visualize working life. The Career Seminars provide an opportunity for students to obtain up-to-date information primarily from newly graduated employees from the University’s corporate affiliates. Finding an ideal mentor is the quickest route to visualizing your ideal self. 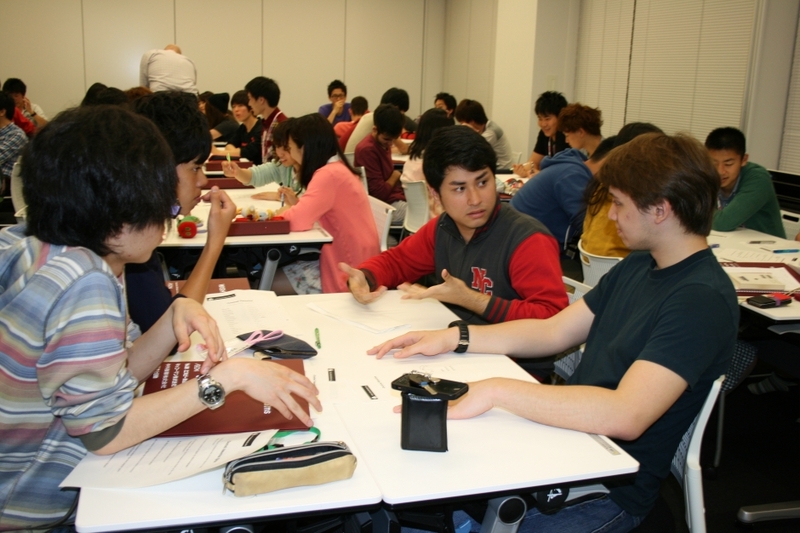 The SI Programs are partially funded through donations from corporate affiliates, Waseda University Alumni Association and Waseda Supporters Club. In addition to financial support, corporate affiliates allocate graduate employees to act as facilitators and advisors. Students will receive valuable advice regarding how to best benefit from their student days and career planning. These affiliates will also deliver Project- and Problem-Based Learning opportunities. 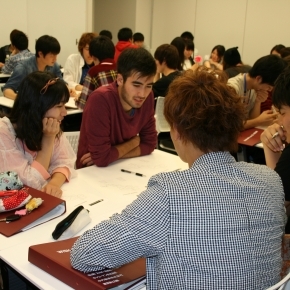 Waseda University’s nearly 590,000 graduates are active in a wide range of fields and locations. Possessing a wealth of experience, alumni are invited to address current residents and can provide valuable and relevant information from their standpoint as former students. This will assist you in developing a framework for thinking about your future self and career path. 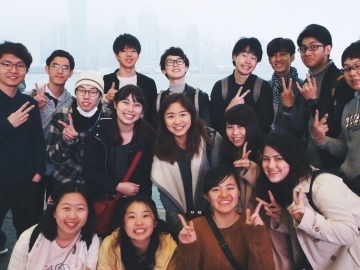 SI Program participants who achieve outstanding results will be given the valuable opportunity to experience overseas business firsthand, something not possible through tourist travel. Aside from costs such as insurance, the University will fund these overseas ventures. Set your sights on receiving this award and fully apply the skills acquired through the SI Programs to expand your horizons. Various excursions will also be widely available, including factory tours and work experience opportunities. Participating in SI Programs is the bridge of my dreams. The greatest attraction of SI Programs is that “To maximize my own possibility.” When I studied abroad in high school, I had bad experiences to discuss with students from different nationalities. I could not speak up my own opinion because I was caught up in the active emotion by other students. I could not express my opinion even when I was asked to do so. After this experience, I became to dislike discussion, but then I found SI Programs. 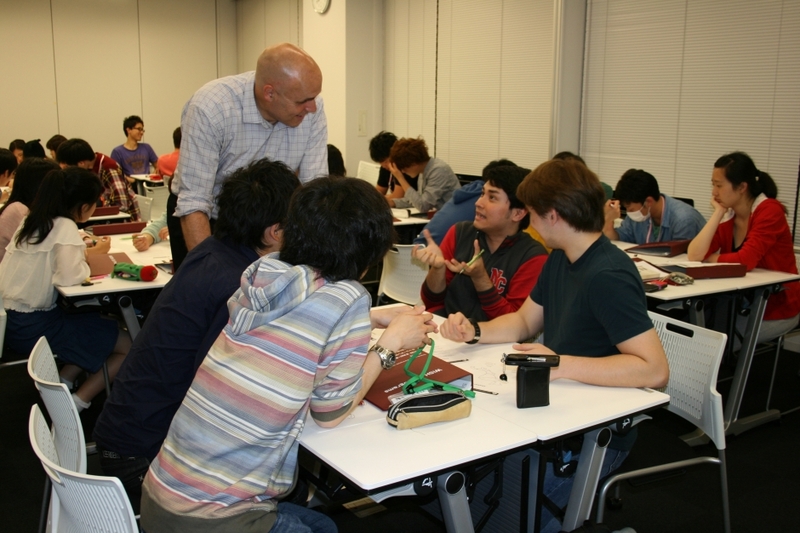 In the SI Programs, I can learn not only the method of logical thinking taught by Japanese instructors, but also how to make an assertion in English taught by foreign instructors. 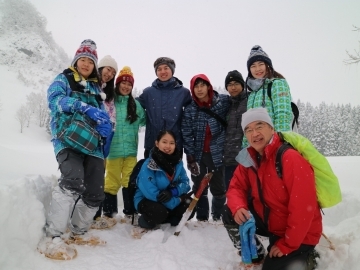 In addition, international residents participating in the programs have different nationalities, and also Japanese residents have various backgrounds. To discuss with such residents is very stimulating experience for me. 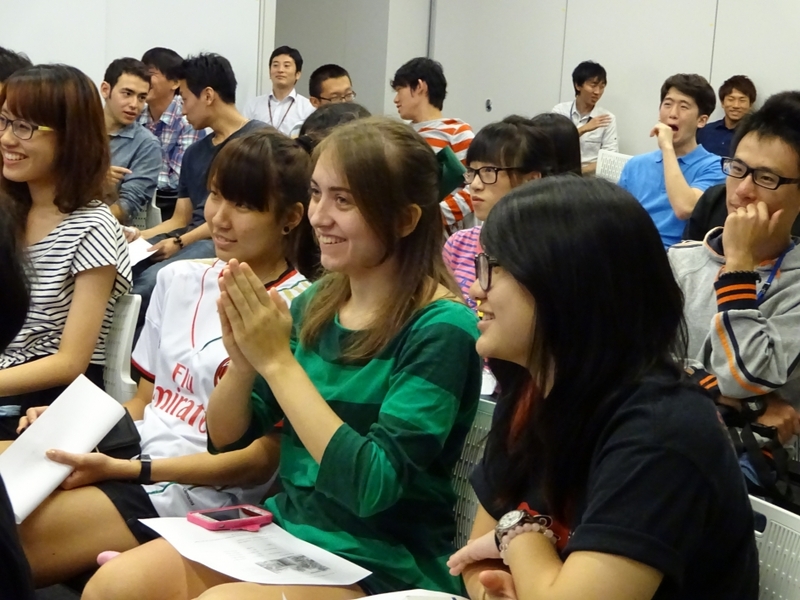 Through the SI Programs, I am able to find discussion interesting. Since I want to play an active role internationally in the future, participating in SI Programs is bridge of my dreams. When it comes to SI programs, the most interesting program would be the career week visits. Different companies come in and ask the students to think about the problems that they face as a company. I think it is very important for students to experience this, because it can either direct them towards or deter them from certain career paths. As college students we are, for the most part, we do not one-hundred percent decide on what we want to do in the future. The more we experience in regards to professional work, the more we are able to focus on what we like. 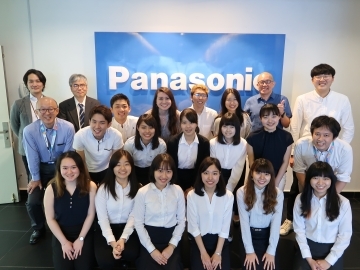 In addition, because the selection of companies is across a wide spectrum, each student is likely to be interested in at least one of the companies visiting. Also, because Career Seminar is separated from the normal weekly SI programs, you can have the opportunity to meet residents who normally attend the programs on a different day than you do. ※Residents can select which day of the week they will attend based on their individual schedules. 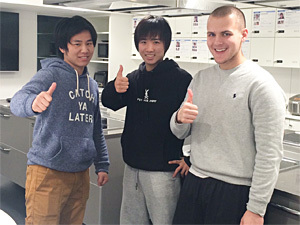 Through attending the SI Programs, I acquired “thinking skill and transition skill to express my opinion.” In Self Motivation, to discuss with other residents and attend the programs taught by various instructors helped me acquire logical thinking spontaneously, which is essential for building problem solving skills. In addition, I realize the importance of thinking skill as well as expressing what I think in my own words. 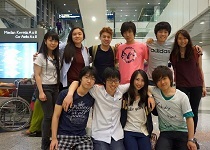 There are many international students from various countries in WISH. It is essential of sharing own idea aggressively to communicate with residents having different cultures and values. 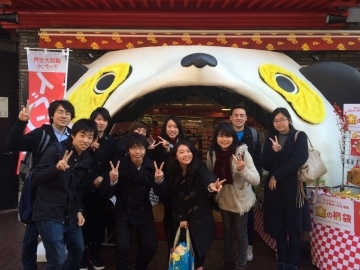 In Global Communication, learning global standards beyond Japanese standard helps me become to communicate with international residents smoothly. 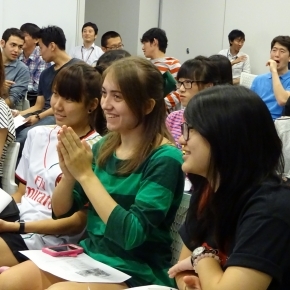 Moreover, I can gain great learning and grow up through participating in the SI Programs constantly. 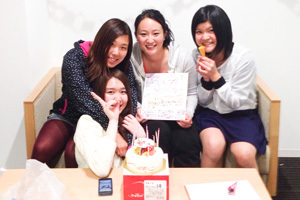 In the future, as a global leader, I am longing for utilizing what I have learned in WISH.